Our practices are made up of a unique mix of both locals and international Doctors who all call the Lower Clarence home. Our team of Doctors, Nurses, Allied Health Professionals, and Administrative Staff have great pride in providing the highest level of medical care to our patients. Our team of Doctors bring international experience and provide state of the art care for every one of our patients. Each a specialist in their own field, they are a true team combining national and international experience and speaking multiple languages. Dr. Anil Thakur established Clarence Medical Centre in 1985 & has provided general surgical services to Lower Clarence valley for 32 years. He has a regular theatre list in Maclean District Hospital where he has been doing Endoscopies and many other surgical procedures. He holds Fellowships of the Royal College of Surgeons of Edinburgh as well as Glasgow. He is also a Fellow of the Australasian College of Rural & Remote Medicine. Dr. Thakur has a passion for teaching & has mentored, taught, supervised & helped MANY medical students over last 30 yrs. He is a Senior Lecturer in Clinical Medicine as well as an Examiner for University of Wollongong Medical Faculty. Dr Cannon is happy to be back in Yamba after spending 18 months working for the Defence Force. He is interested in all aspects of General Practice especially Men’s Health , Child Health , Skin checks and skin cancer treatment , sports medicine and chronic disease. Dr. Davey is currently on extended leave. Dr Davey joined us from America in 2012. His special interests include Emergency Medicine, Obstetrics and family health. Dr Davey speaks English, Spanish, French, and Moroccan Arabic. Dr.Kalpana Thakur has been working as a GP in Clarence Medical centre since 2013. She is an accredited skin cancer doctor from the Skin Cancer College of Australasia(SCCA). Dr Thakurs main focuses are Chronic Disease Management, child health, women's health, aged care and skin cancer treatments. Dr.Thakur provides comprehensive skin checks, diagnosis and management of skin cancers. She has strong interest in Cosmetic medicine. She provides full skin consultation, removal of Sun spots, Acne treatment , anti-aging treatment with Laser and Platelets Rich plasma (PRP) at Clarence Cosmetic Clinic Maclean. Dr. Thakur speaks English, Nepalese, Hindi & Mandarin Chinese. Dr Simpson joined Clarence Medical in 2012 after moving to Yamba from The Netherlands. Her special interests include treatment of skin cancers, womens health and contraception. Dr Simpson is also the centre's cosmetic specialist and offers a wide range of cutting edge cosmetic treatments including fillers, peels and other skin and facial rejuvenation treatments from the Yamba Cosmetic Clinic at our Yamba practice. Dr Simpson speaks English & Dutch. 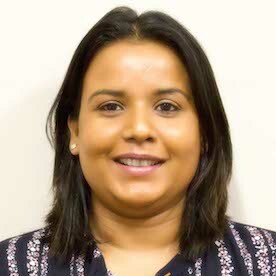 Dr. Julia Fortes has worked in the region as a GP for several years now, following her passion she has undertaken additional training In Women’s Health, feeling there was a real need for a more specialised service in the area. Dr. Fortes now heads the first dedicated service for women in the lower Clarence Valley. Dr. Fortes is fluent in French and speaks Italian as well. Dr Simon Grewcock completed his medical training in the UK, though is very much a convert to the Australian outdoor lifestyle, having lived and worked in the Lower Clarence Valley for more than 5 years. Simon has a wealth of experience in all aspects of General Practice, having completed specialist training in 2007. Dr Grewcock worked as a Medic for a Youth Development Charity in Borneo in 2009. He also has experience in Aboriginal Health after working in the Northern Territory in 2017. He has an array of medical interests including Mental Health Disorders and Palliative Care. Clarence Medical Centre's nursing specialists are experts in their field, providing essential services to our growing list of patients. Their background and experience ensures our Doctors are well supported in all aspects of patient care. Ros, our Clinical Nurse Specialist has been a member of the Clarence Medical team since 2000. She is a Midwife and Sexual and Reproductive Health Nurse, completing her Master of Nursing (Advanced Practice) in 2017. Ros works alongside our doctors to provide an individualised, comprehensive service for all our patients. Our Medical Reception team is second to none. From the booking of appointments, the organisation and follow-up of referrals and test results, to the discreet handling of confidential patient information their knowledge in the field of medical reception has been crafted through both years of experience and their continual professional training in the latest technologies. Angela started with Clarence Medical Centre 1999 when she moved from Tamworth to Yamba for a coastal change. She loves working with her dedicated team to provide a high quality medical care. Angela enjoys touch football, running, gym and most of all a love of Yoga. Weekends are spent outdoors, with family and holidays travelling around Australia and overseas. Deb Flanagan is our office manager and has been part of the Clarence Medical Team since 2002. She moved to the valley in 1993 with her young family to escape the accelerating pace of the city. She has a strong sense of community and with a long history of customer service is focussed on positive outcomes. She is always willing to assist with any enquiries. When not working hard at the practice Deb loves to travel and spend time with her family & menagerie of animals. Sarah joined our reception team in 2009. You will find her in both the Maclean and Yamba practices, and she accompanies the doctors to Iluka when we hold our clinic there at the Iluka library. Sarah has been living in the area for just over 20 years and loves to make the most of the natural surrounds - enjoying the beaches and the river. Lee has been a valued member of our team since 2004. A true local, Lee has lived in the Lower Clarence all her life, raising her two children and maintaining close links to the Clarence Valley Community. Tracie has been a receptionist with Clarence Medical Centre since 2012. She works in both our Maclean & Yamba practices. Tracie grew up locally and after a bit of travelling moved back to the area with her husband and is now raising her own family here. Kylie is one of our friendly reception staff. Based mainly at our new Yamba clinic, Kylie has worked at CMC for 4 years. Kylie grew up in the local area but moved away to study & work. She & her husband returned to the Yamba area to raise their two young sons. Kylie enjoys spending her spare time socialising with family & friends plus enjoying the great outdoors. Clarence Medical Centre also has visiting professionals who advise and treat patients. Our Allied Health partners are an essential part of our team. Martina joined us in early 2018, she is a welcome addition to our team. 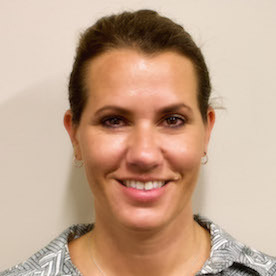 She is an accredited exercise physiologist from the Yamba and Maclean Physiotherapy team. Martina aims to provide exercise interventions for those at risk of developing, or with existing medical conditions and injuries. She has a keen interest in chronic health and metabolic conditions. Lauren graduated from The University of Queensland as an Accredited Practicing Dietitian with a Bachelor of Exercise & Nutrition and a Masters of Dietetics Studies. She is a Clarence Valley local who grew up in Grafton/Yamba and has spent the last few years travelling & gaining experience as a Dietitian before relocating back to Yamba. Lauren can provide nutritional advice on a range of areas such as; Chronic Disease Management, weight loss, weight gain, food allergies & intolerances, sports nutrition, vegan & vegetarian diets, malnutrition and general healthy eating. She is a keen cook who loves to experiment in the kitchen. In her down time you'll see her running around training for marathons. For your convenience, whether you need to book an appointment at Maclean, Yamba or Iluka, just call 02 6645 3299 to speak to our friendly reception staff. Our Maclean practice is located at 1 Centenary Drive behind the River Street shopping centre, next to the Cameron Park carpark. The pedestrian crossing takes you right to our front door. In Yamba we are located at 12 Clarence Street, better known as 'the top of the hill'. In this food & restaurant quarter, you will find us directly across from the Pacific Hotel. In Iluka we are located at the Iluka Community Centre on the corner of Duke and Micalo Streets. Please call Maclean District Hospital 66 400 111 or 0417 473 299. Clarence Medical Centre offers after hours care seven days per week, 24 hours a day. Our doctors provide home visits if required.